With the holidays just around the corner and impending family gatherings galore, those same old board games just aren't going to cut it. Instead of dusting off that old Parcheesi board, it's time to try something fresh. 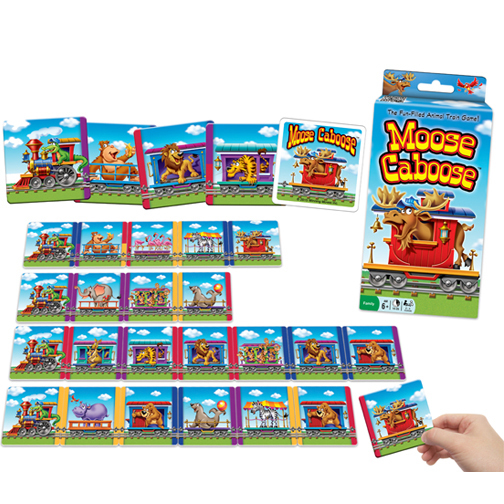 With the holidays just around the corner and impending family gatherings galore, those same old board games just aren't going to cut it. Instead of dusting off that old Parcheesi board, it's time to try something fresh. We already told you about some great new games, but here are a few more that feature unique gameplay to shake up your family game night. 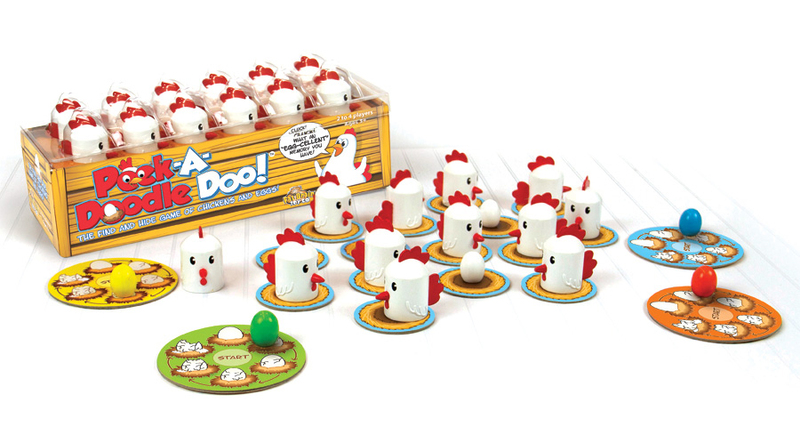 Check out these seven simple, snappy games that trade in the traditional board for cards, magnets and even whipped cream to bring your whole family together. 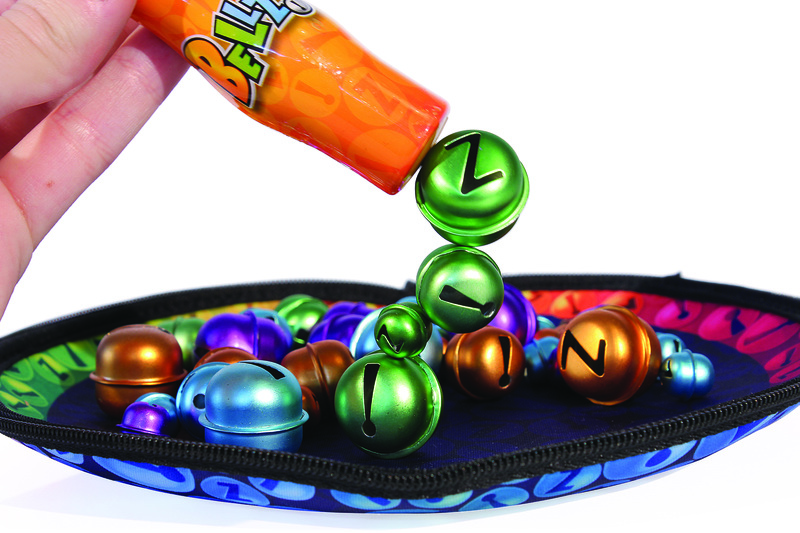 What if an easy-to-carry travel pouch could offer 15 minutes of fun play time? Simply unzip the bag to unravel a delightful game for two to four players. Take out the 40 bells in red, blue, green and yellow. Pick up the magnetic wand and get ready to pick bells of only one color. Use the fat, powerful end of the wand or the thin one to make a cluster or a string, but whatever you do, don't pick up a bell of another color. If you do, you lose your turn and pass the wand to the next player. The first player to collect 10 bells of one color wins the game. 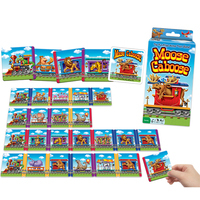 Just like different people come together to form one distinct family, different shaped pieces crisscross and link up to constitute this fast-paced, addictive, family game about puzzles. 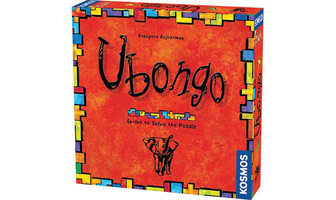 Each player receives a set of 12 polyominos or geometric shapes formed from equal-size squares and a new puzzle panel at the beginning of every round. 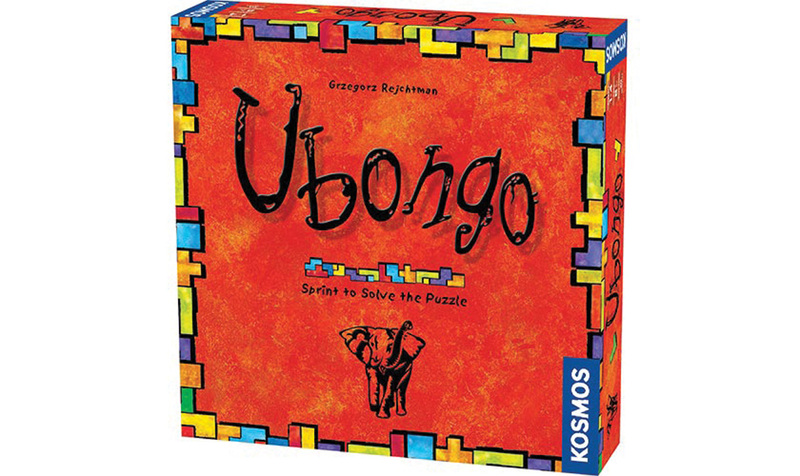 When the clock starts ticking, players try to match their different shaped polyominos to their puzzles, and yell out "Ubongo!" if they're done within the time limit. All those who complete the puzzle before time runs out earn a random gem, but the fastest player gets a blue gem, and the second fastest earns an amber gem. At the end of nine rounds, the player with the most valuable gems is declared the winner. Doodles are the mindless drawings that we all make in the margins of a notebook, on an old newspaper and now, even on our phones. 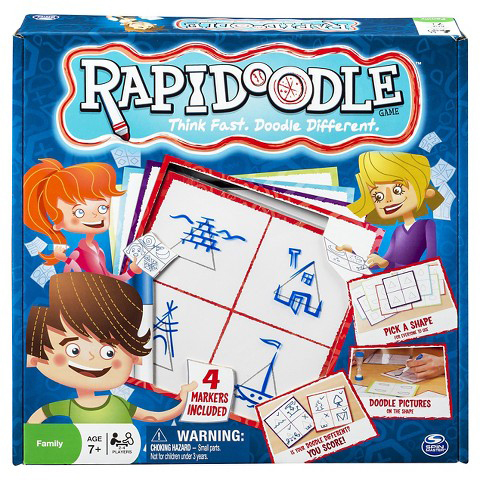 But Rapidoodle is a game where every doodle needs to be taken seriously. It's all about being fast, unique and thoughtful! 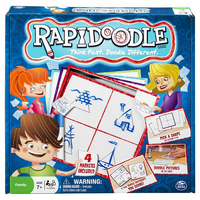 Each player gets four basic shapes and one minute to doodle something unique by drawing over shapes like triangles to make a tree, or a square to make a house. If no one else made the same doodle as your picture, you win points. The more players, the crazier you'll get with your drawings, and the more interesting the game will become. When you combine kids and food, an occasional food fight might break out, and mom and dad may not be too thrilled. But as they say, there's a time and a place for everything, even food in the face! Pie Face is one such game full of fun, suspense and throwing food around. 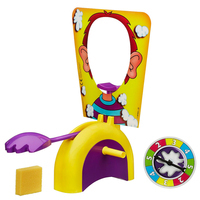 Put some whipped cream (or a wet sponge if you must) on the hand device of Pie Face. Then take turns with your fellow players by placing your head in the frame and turning the handle. Get ready to get slapped on the face with some sticky cream or score 25 points if you escape the whip. Whether you score or not, at its heart, this game is all about scoring laughs! As kids, some of us may have enjoyed squirting water from our mouths at unsuspecting victims. Parents are not always happy about the mess this makes, but when spitting water is part of a family game, you'll have to take your chances! 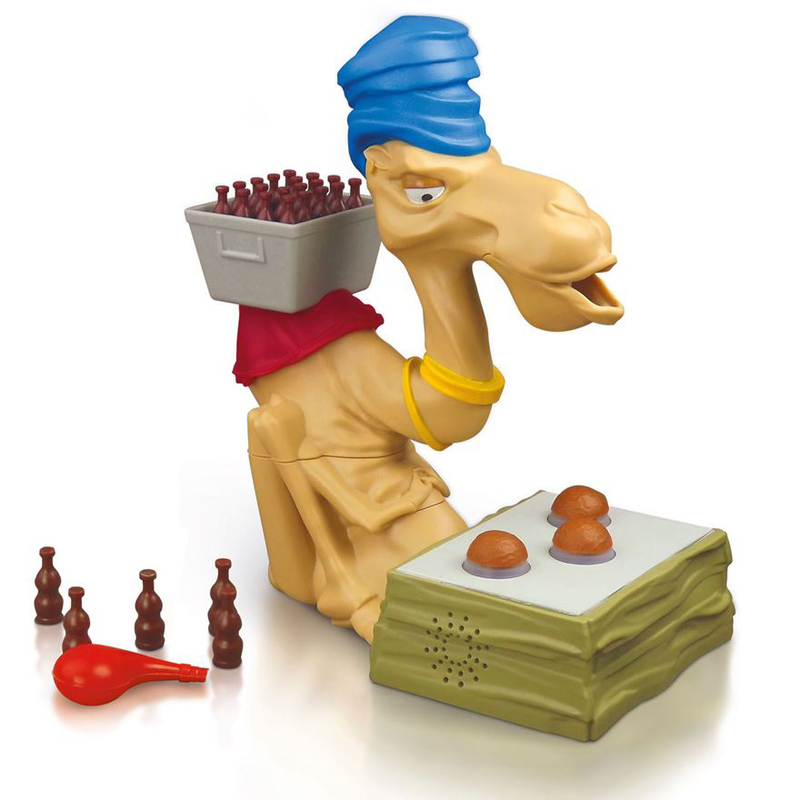 Spitting Camel can be played with one to four players. The camel guards a supply of soft drinks in a desert while players enter three different challenges to win the bottles. If the player loses his or her chance, the camel will spit water at the player. The player with the most bottles at the end of the day is the champion. Others can just be happy that they got hit with water and not whipped cream!